Sometimes your living home isn’t dirty as it is cluttered. You can have objects lying around, but simply don’t have a place to store them so they quickly accumulate in your room making it more untidy and unappealing even when they are cleaned. The living room is a place to hangout with family and friends, watch TV, pay bills, read magazines, play games and entertain yourself. Therefore you find yourself leaving items unnecessary anywhere. Make sure you save the vacuum for last by ascertaining that debris shifted towards the sides in the cleaning process will all be sucked up. A vacuum cleaner should never leave some dust back in the air. The probability of this happening is because it may be having a problem, and you might need to consider replacing the bags and filters of your vacuum cleaner. If you really need an item and don’t know when you used it or might use it again. Find a box and place them in the attic or a store because it will appear junk in your room. Whenever you are done with an object always makes sure to put them away. You can digitize documents and photos by uploading them in a safe place. Pack the documents in a safe place e.g. fireproof box the rest that you don’t need, you can stash them away. Digitize music and movies CDs and DVDs. Don’t store them in a tower or a game box, rather rip them off and store them in a flash drive or the computer. The key to a clean living room is to always clean the clutters consistently. Discard, recycle and remove anything that is trash toys, mails that may have accumulated in during the day on a daily basis. Place them where they belong. Find some trash bags and large boxes to clear out the more stuff you may have in your room. Dust around the living room from top to bottom and left to right. Then clean your coffee table and other main surfaces. Vacuum the area beneath your furniture by rotating the sofa and dusting off the cushions. Evaluate your room every year by dusting off and de-cluttering anything that is out of reach like the ceiling fan. Use a ladder to reach the place and as you do that clean your fireplace. Follow these guidelines tasks and sure you will be guaranteed that your living room will always be up to par when your family and friends are around. Always learn how to appreciate uncluttered appearance by making your standards hate, kill clutter. The main key to maintaining clutter is to find time to remove the excess, clean, organize and organize again. Tip #1: Add a Splash of Color. Add color by using draperies, wall decors, plants, painted furniture, etc. Do-it-yourself framed artwork, such as your own painting, newspaper clipping, family portrait, or even a framed piece of fabric is a cheap way to liven up a plain wall. There are lots of YouTube video tutorials on how to decorate walls using things that you already have. You can use spray paint to color a single chair, making it the focus item in the room. Colored marbles, rocks, potted plants, and slipcovers can make your living room brighter and livelier. Tip #2: Browse flea markets and yard sales. There’s a saying that goes: “One person’s trash is another person’s treasure”. Well, it is true with home or apartment decorating. Among the best places to find cheap decor items are yard sales and flea markets. You can buy dirt-cheap, second hand furniture, such couches, bureaus, console tables or coffee tables. If you are lucky, you can even find a vintage item that can serve as the main conversation piece in your place. Apart from garage sales, second-hand shops are also popular for their hard-to-find home decorating items. If they are not in their best shape, you can always update their look using a couple coats of paint or stain. Old couches and chairs can use slipcovers to add a touch of color. Tip #3: Recycle your old furniture. Recycling your old furniture can be your best way to update your living area without spending too much. 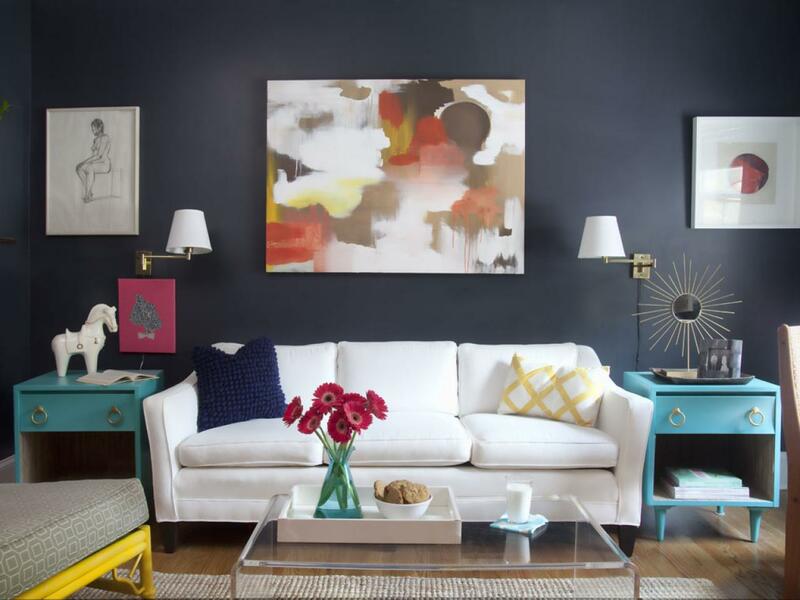 You can revive your old furniture by painting them in matching or contrasting colors. You just have to use your imagination. Rotate your furniture. Transfer your living room console to your bedroom and use it as our dresser. Edit your bookcase and donate half your books to your local library. Fill the empty space with cheap colored candles, your mug collection, or whatever suits your fancy. There are various living room ideas that you can use that allows easy access and great focus while entertaining guests or just simply relaxing on your own. Regardless, it is important to feel relaxed and comfortable in the living room, no matter how big or small it is. 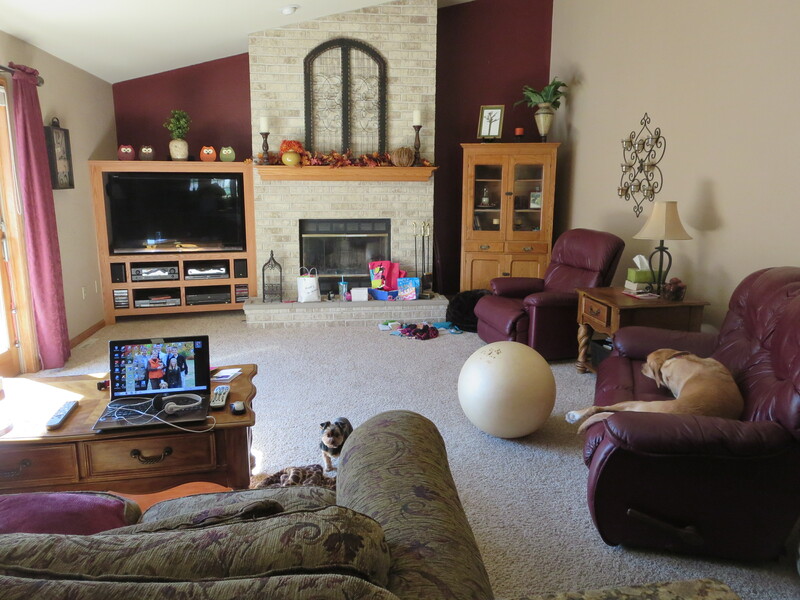 But, how do you really maximize a cramped up living room? To help you with this, here are some tips on how to utilize this type of living area to your advantage. Utilize space. Use every single inch of space you have. Apart from the floor-to-ceiling cabinets, add some cubbies across the walls; install drawers and pull-out organizers and mount your television on the wall to save space. Designate stations. It is easier to entertain in the living room if you have designated stations for each special activity. Create an area where you have all your books and other reading materials and have a comfy chair to go with them. But if the space is really limited, designate a shelf to hold various materials for hobbies and stuff so you can easily reach them once friends or family come by. Clear out clutter. Clutter could probably be the worst problem of all homeowners. Nevertheless, clearing out the clutter is one necessary step to make your kitchen look and work at its best. Get rid of the things that you do not use much, such as the dated CD player or that corner table with a broken leg. You can stash them into your closet (that is, if you have any extra space), or you can give it to your mom or a close friend as a gift. This way, you can always “borrow” it when you ever need it again. Maximizing your living space is necessary to keep you relaxed at home. It does not matter if the actual area of your home is really small. The important thing is, you know how to use every single inch of it properly. Curtains can make or break your living room. When choosing window treatments like curtains, there are several factors to consider: fabric, color, length, and if it is custom-made or bought ready made. Fabric. Choosing the right fabric is essential. The material you use on your curtains dictate how well they will hold up to your ideal design. When drawn, curtains made with too heavy fabrics do not fold up crisply; but too light ones do not fall perfectly either. Color. 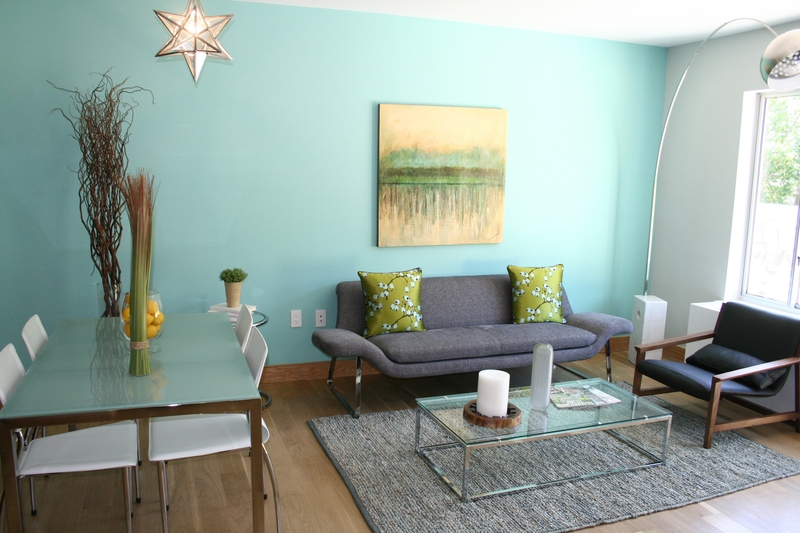 Colors depend on whether your living room gets too much sunlight or not. The tendency is brightly colored materials will fade faster when there’s a lot of light going through it, so you may want to consider that. The important thing is to choose a color that will blend with the rest of the room. Length and Lining. Decide on how high your curtains will be. It is advisable to set the curtains higher than the windows to make the room appear taller. Half-foot above the window is the ideal way to do it but you may choose to have it higher if you want to add more drama. Custom or Ready-made. Custom panels offer limitless options in making your living room look its best. 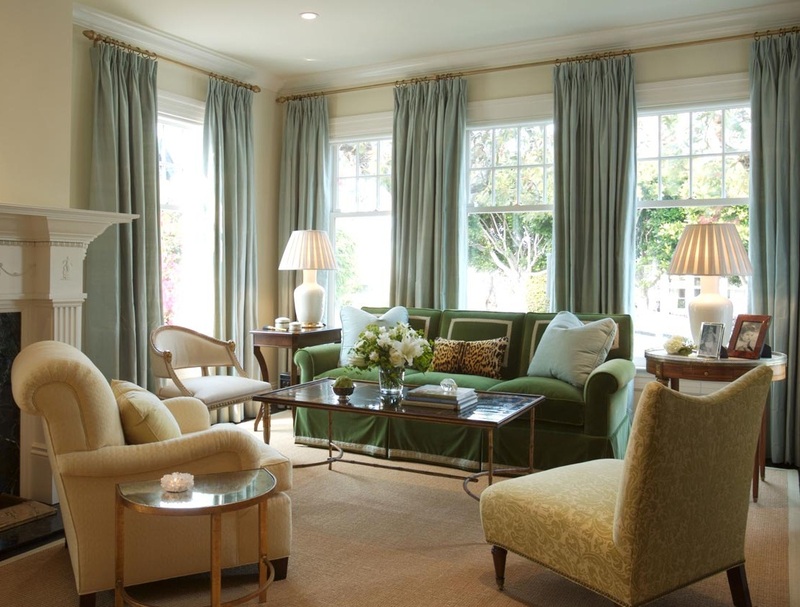 Custom curtains give a tailored look and the size fits to a T. However, custom curtains can be pricey, too. Ready-made curtains might offer limited choices but they are relatively cheaper. But with the right fabric, color and size, you can achieve the tailored, personalized look without the hefty price. Regardless, it is on how you install and present your curtains. Good luck in searching! Set a budget. If money sources are limited, you must have a budget set. Of course, this is the most obvious thing to do. However, to make it all clear, you must understand that your decorating budget must not consist your whole savings. Allocate a budget, which you can afford and not a single dime more. Plan your decorating scheme. Determine what you REALLY want to do with your living room. List down the color schemes, patterns that are present in the furniture and fixtures that you consider retaining, and set your mind only to that plan. Do not buy anything that is not included in your shopping list, even if it is on sale. If you do this, it is more likely that you end up with unmatched colors and patterns that may force you to repaint a wall that do not need painting, or buy a new set of curtains, etc. This will eventually end up to additional expenses that are way out of your budget. Call for help. If you really don’t know what you are doing, then maybe it is time to ask for help. It is pointless to engage in a do-it-yourself decorating project if it will just end into a disaster. You can ask the help of some friends who have more experience in decorating. Never give up. If you are on a budget, then chances are, it will take more time to finish your decorating project. It might be a little frustrating to want something that you know you can’t have, like that expensive couch or the trendy designer paint; but, you must never give in to your wants. Stick to your budget. It does not matter if it take you months to find bargain items and finish decorating. Remember, Rome wasn’t built in a day. It takes a lot of patience and a lot of discipline to make your budget decorating plan successful. Know the right size. There are many sizes of ceiling fans. 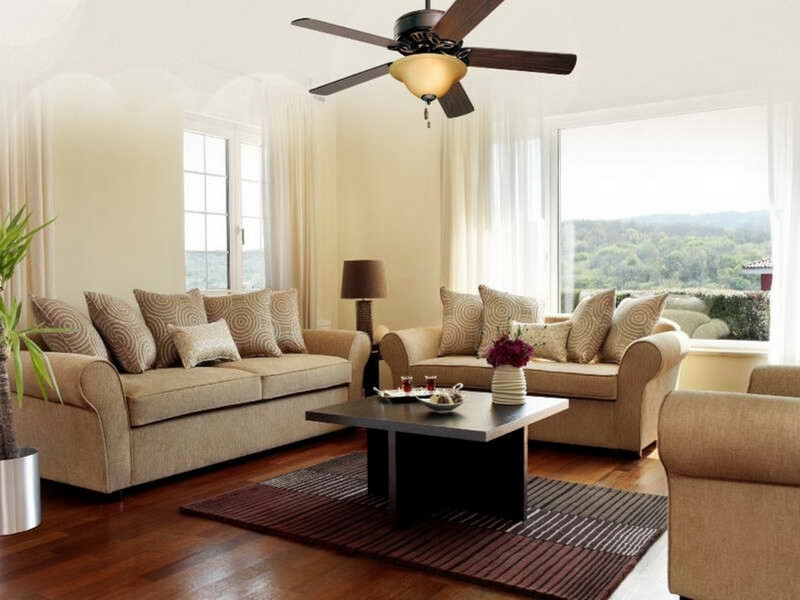 The diameter of ceiling fan you should choose depends on the size of the room where you will use it. For instance, if you are using it in your living room, and its area is just 70 square feet, you only need to install around 29-36 inches diameter of fan. 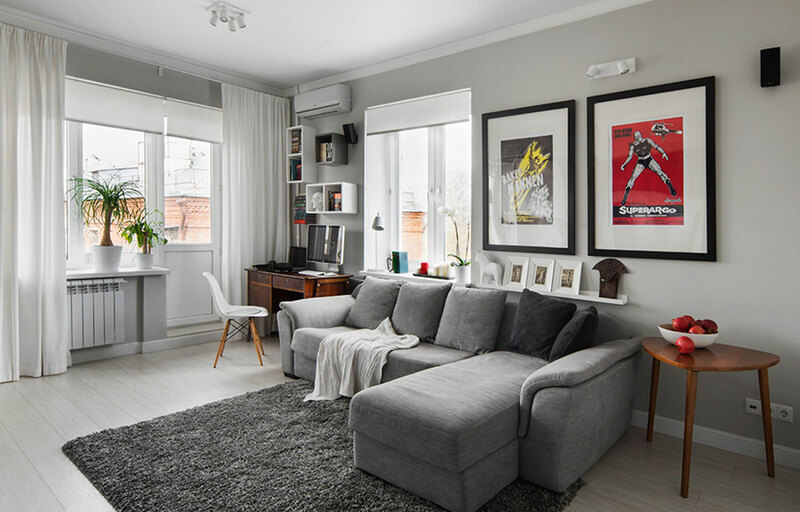 For larger rooms, you may need up to 54-inch in diameter or you may have to install a couple of smaller-sized fans to keep the room ventilated. Mounting options. The ceiling height is another factor in choosing the kind of ceiling fan that is perfect for your living room. Ideally, the fan blades to floor distance should be about 8 feet. For low-ceiling areas, flush mount ceiling fans are the best, while for ceilings higher than 8 feet, the downrod mount is ideal. Most ceiling fans have included downrods, so the only option is to use it or not. Design. Believe it or not, ceiling fans come in a wide array of designs, colors, and shapes. When choosing a ceiling fan for your living room area, you can opt to keep it simple or choose a set that goes with the overall design of your living room. Ideally, dark stained blades are great for rooms that have light-shaded accents such as white or cream. But, you can also explore on the available designs and colors. Don’t be afraid to play with it and make your ceiling fan the focal point of the area.